Electric Bikes: Will They Become the Future of American Bike Transportation? 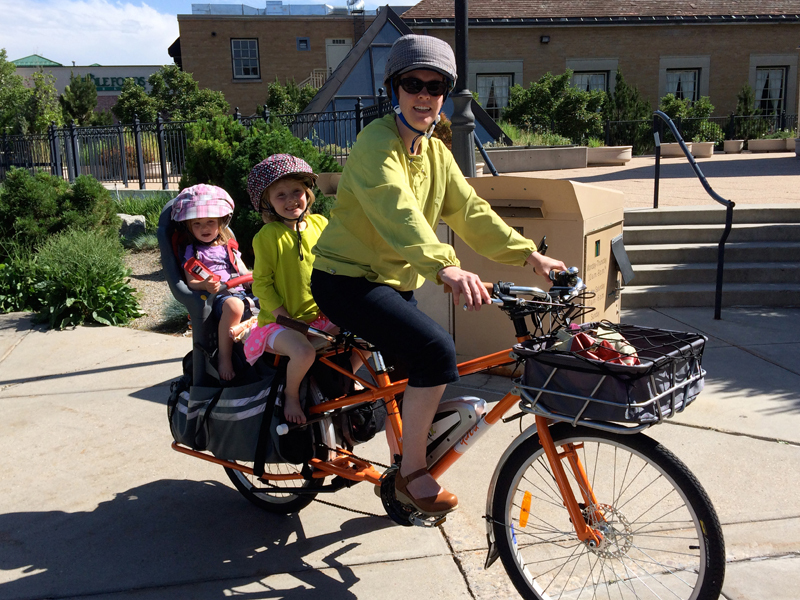 Heather Khader commutes with her kids on a Yuba elMundo cargo bike. Photo: Karim Khader.